If you were a fan of Jackie Robinson's Chickadees & Berries collection, you'll be thrilled to know she has a new companion collection--My Little Chickadee. Jackie's signature stripe--in blue and in cream-- and chickadees with plenty of space for fussy cutting for blocks, pinecones, scrolls...designed by a quilter for quilters! 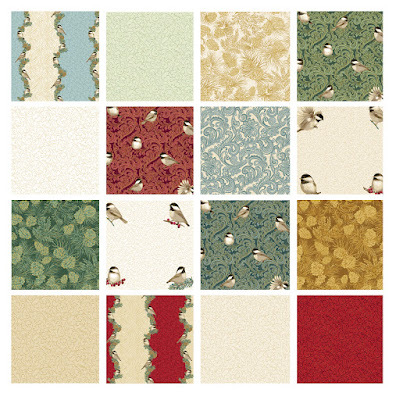 The panel from Chickadees & Berries is here as well, done in red instead of blue. 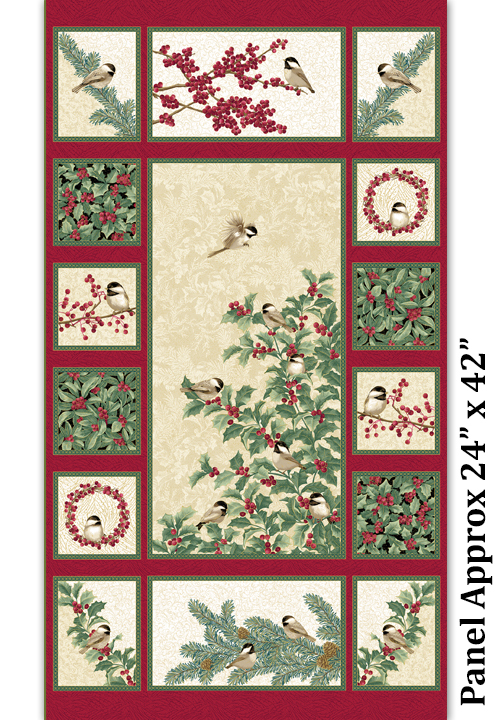 These fabrics can stand alone or be used with Chickadees & Berries. 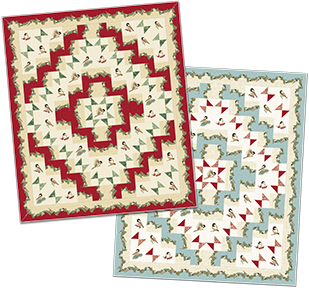 Jackie has designed a free quilt pattern, "Chickadee Gathering," using fussy-cut blocks of chickadees and the stripe, in both red and blue. Click here to see the entire My Little Chickadee collection. Click here to learn more about the Chickadees & Berries collection. What a fabulous line and great free pattern! thank you! !